It’s New Year’s Eve and we are anchored off of the Taronga Park Zoo inside a zoo of vessels all vying for front row positions! You might think that it’s for a race start- Sydney Hobart or something big like that- but it is for the Sydney Harbour (yes, with a “u”) Bridge New Year’s Eve Extravaganza. 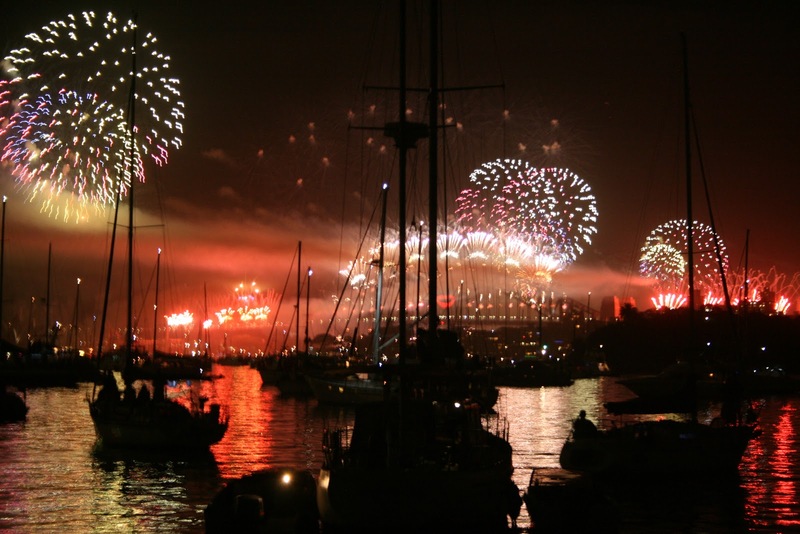 This extravagant show begins at 6:00 p.m. with an Aboriginal cleansing of the evil sprits from the Bay Ceremony and lasts until midnight, complete with an air show, two fireworks shows from The Bridge and barges around the Bay, a Parade of Lights, and a light show on The Bridge itself! 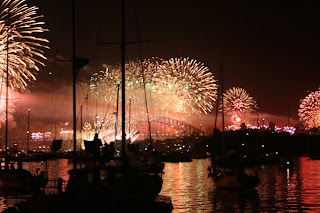 We are in a perfect viewing spot along with 500 or so other boats to see the display over The Bridge and Opera House. THEY say it is going to get more crowded before it gets better! But hey, the wind is only supposed to be 25 knots this afternoon. No worries, mate! Besides, it’s a great way to meet people…. Rutea sailed in to this beautiful harbour a week ago. Two magnificent headlands mark the entrance to the bay and enclose hundreds of miles of shoreline. 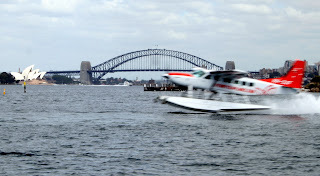 The spectacular city of Sydney wraps around the water interspersed with old Victorian mansions surrounded by beautiful gardens, nature preserves thick with trees and birds, white sand swimming beaches enclosed by shark nets and high rises, cafes and bay-side walk ways. 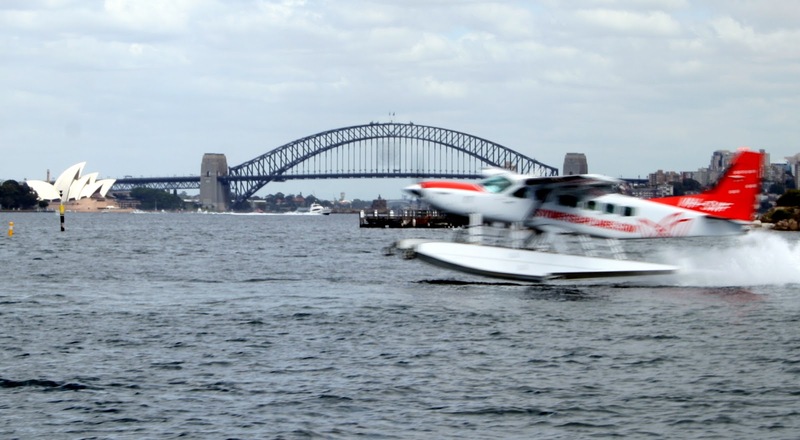 The water is continually criss-crossed with ferries, sea planes and boats! Boats! 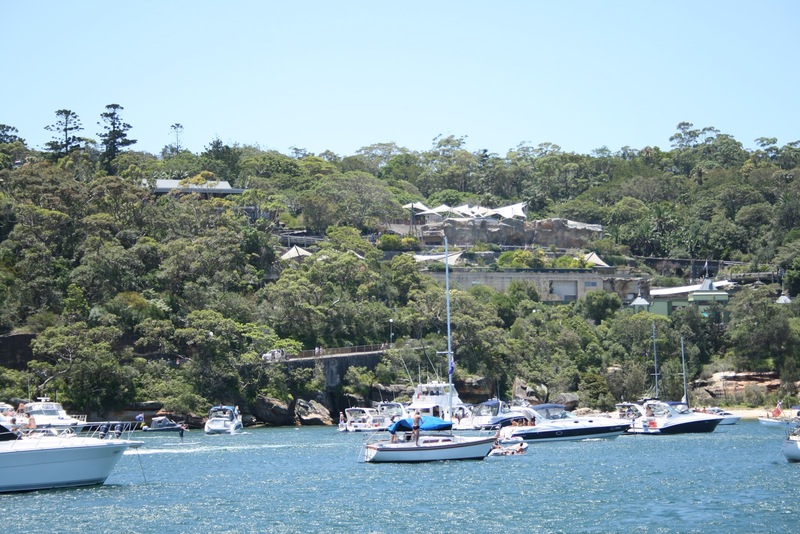 There are thousands of boats that live in Sydney Harbour. Interestingly, most of the boats live on moorings, marina berths being very few and very expensive. 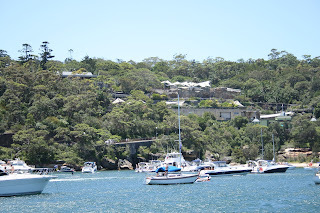 From cove to cove there are occasional free, pink, beehive moorings for the transient vessel but we mostly end up anchoring in protected coves for southerlies and a northerly protected cove for….. you know what! The fetch is l o n g here and in the past week we have had two 30-knot blows. It always blows hardest from the southeast. I’m just sayin…..
Now that we are here…. did I say I am surprised to be here? 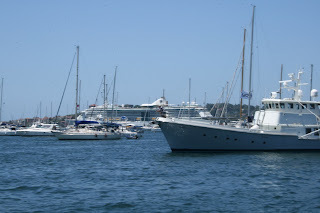 I was NOT planning to sail so far south again this year…. We are at 33º50.8 South (again). Now that we are here, Rutea plans to stay for a couple of months (no we are NOT sailing to Tasmania). 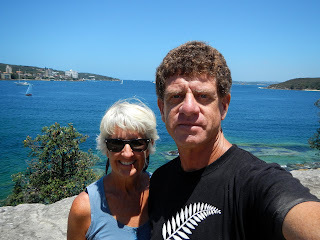 We are cove shopping and exploring neighborhoods, surf spots and dinghy docks to see which part of the harbour, or perhaps river tributary, we want to call home for a while. It’s all good! In the meantime Rutea is loaded up with food and booze. Corie has invited a couple of friends aboard, we have cruising friends (brand new and long time) nearby, stopping by and we plan to bring in the New Year Ozzie style! Yes, it’s all good! 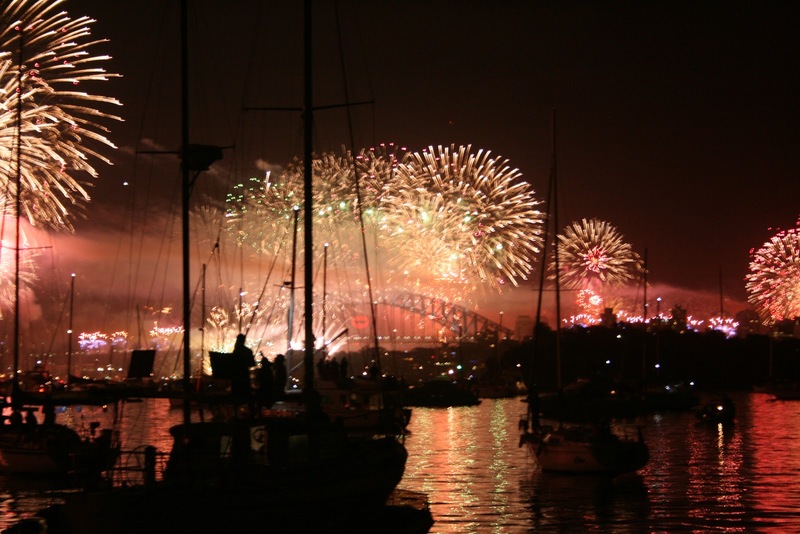 Happy New Year Mate! Good on ya!